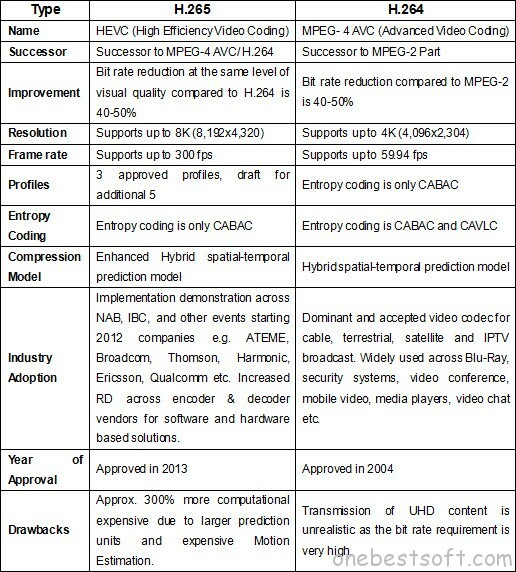 H.265 or High Efficiency Video Coding (HEVC) is the latest generation video compression standard. Good News is that the Hottest Samsung NX1 has already support H.265/HEVC videos shooting! And the problem we face may be: how to watch NX1 recorded high definition H.265 movies on TV with big screen via Mac OS X (Sierra/El Capitan)? When I transfer my H.265 files from NX1 to TV via USB, the TV can not open the file. How should I do to convert NX1 H.265 movie to play on TV via Mac? Why my TV lacks the ability to support Samsung NX1 H.265(HEVC) codec? Come here! You can get all answers! Since HEVC doubles the data compression ratio compared to H.264 or MPEG-4 AVC at the same level of video quality, this compressed video file can’t be directly played on TV (Smart TV, 4K TV, 3D TV, Android TV, etc). No worries, here is the solution, read on. In fact we can stream and watch videos directly to TV with TV supported format just like playing videos on Sony TV with its own video format. So in order to transfer the NX1 H.265 videos to TV via Mac OS X (Sierra/El Capitan), one possible solution is to convert Samsung NX1 H.265 to H.264 MP4/MKV video for playback with TV easily. Then is there a third party Mac H.265 decorder which is compatible with Mac OS Sierra/El Capitan? Yes! 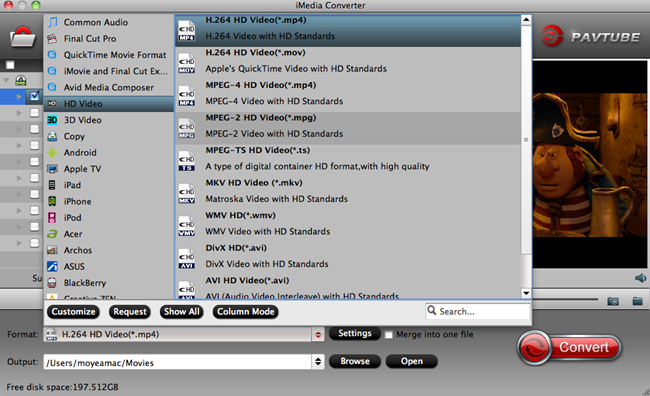 One of the best Mac H.265 converter from the market so far is Pavtube iMedia Converter for Mac, which is upgraded to support H.265 encoding, decoding and has added the overall playback support to H.265. With it, you can convert NX1 H.265 to TV friendly H.264 MP4, MKV effortlessly while maintain the high qality. Plus, it is surely in the support of playing H.265 videos directly for you. In addition, this H.265 Converter is also available to customize the output resolutions to any size the users want, thus you will enjoy the NX1 H.265 movies on TV with a decent result in high quality you want. Windows version is here which is compatible with Windows 10. The following is my Mac NX1 HEVC conversion workflow, if you have a Samsung NX1 and have the similar problem with me, hope my experience can help you. 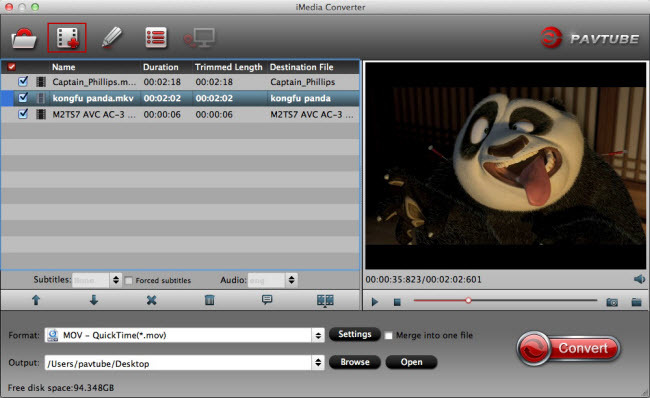 Launch the H.265 Converter and click the “Add Video” button to browse and import the H.265 video files from Samsung NX1 which is copied on computer (or the folder where the video files are) to the program. You can load multiple files at a time for batch conversion. For streaming NX1 H.265 file to TV, MP4 or MKV from “Common Video” or “HD Video” column can be a suitable choice. Hit the Convert button; this video converter will start to convert H.265 to H.264 MP4/MKV for playback on TV via Mac OS X (Sierra/El Capitan). After the conversion is over, connect the USB drive with computer and head to the destination folder where the converted files are stored, transfer/move the files to the USB drive then plug the drive in TV for watching without hassle. Now, just enjoy. Click the “Eidt” button to open the Video Edit window to achieve editing NX1 H.265 like trim, crop, image, watermark, effect, subtitles and rotate and etc in the corresponding editing pane. Click the “Setting” button to open the Advanced Settings window to adjust the output video codec, resolution, bitrates, frame rate, aspect ratio, audio codec, channel, volume and etc in the advanced tab. To have a smooth NX1 H.265/HEVC video playback on TV, this professional Mac H.265/HEVC Video Converter is the best choice. Apart from transcoding Samsung NX1 H.265 to TV via Mac OS X (El Capitan), it can also decode the original H.265 videos to others to suit for other NLEs like FCP or media devices like QuickTime, VLC, etc. 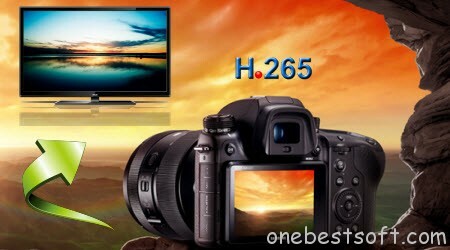 As the successor to H.264 encoding method, an obvious advantage H.265 encoding method has is that, with the same video size, H.265 can offer much clearer and sharper images.